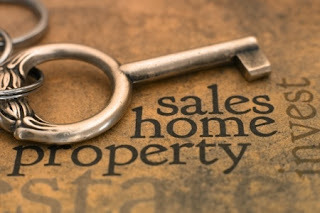 You found your dream home, price is right, and the seller has signed your Offer to Purchase, once signed by both the seller and buyer it becomes a Deed of Sale. A new provision recently introduced into South Africa property law is the cooling off period, which enables inexperienced buyers to cancel the Offer to Purchase within 5 days. This applies to residential properties costing less than R250 000. At this point you will have applied for a mortgage loan either directly or using the services of a mortgage originator, you can only apply for a bond once you have a signed Offer to Purchase/Deed of Sale. Once the loan is approved, the Deed of Sale is given to a conveyancer (attorney who does property transfers), who handles all the legal paperwork lodges all the required documentation at the Deeds Office. Before lodging at the Deeds Office, you will be required to sign all the documentation at the conveyancer’s offices. You will also now be required to pay the Deposit (if applicable) into the Estate Agent’s Trust Account if the agent is registered with the Estate Agents Board or alternately into the conveyancers Trust Account. The Deposit will earn interest while in the Trust Account so you should insist that Offer to Purchase stipulates that interest earned on the Deposit is paid to you. If this is not specified the interest is shared between the estate agent and the Estate Agents Board. It is the seller’s responsibility to obtain an Electrical Certificate from a qualified electrician, before transfer. After the conveyancer lodges all the paperwork at the Deeds Office it usually takes about 6 – 8 weeks for the bond to be registered and property to be transferred into your name. You and the Bank are now the proud owners of your new home. LoanFinder SA provides a 3-in-1 service offering which includes a free loan-finding service that can get you personal loans online from R500 up until R150 000.